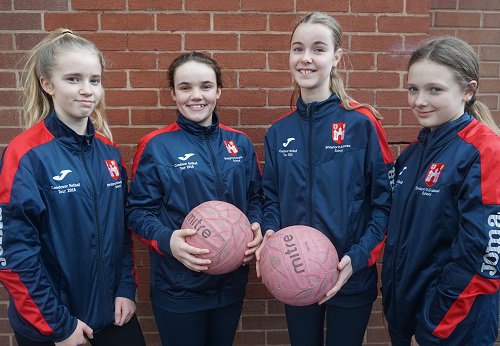 Four gifted netball players from Bridgnorth Endowed School have been selected for the U12 Shropshire netball squad this season. Year 7 students, Esther Carvell, Daisy Brassington, Niamh Ford and Leila Harvey, are all delighted with the news and look forward to representing the county. The girls join the ranks of Holly Bingham from Year 10, who has played netball for Shropshire for the past four years. Congratulations to Esther, Daisy, Niamh and Leila on their fantastic achievement.